Sam Jones Trail Dedication and Celebration! 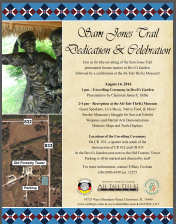 Join us August 14, 2016 for the unveiling of the Sam Jones Trail permanent bronze marker in Devil's Garden, followed by a celebration at the Ah-Tah-Thi-Ki Museum! View the flier for more info! On March 24, 2016 the Seminole Tribe of Florida entered into an historic agreement with the Advisory Council of Historic Preservation (ACHP). 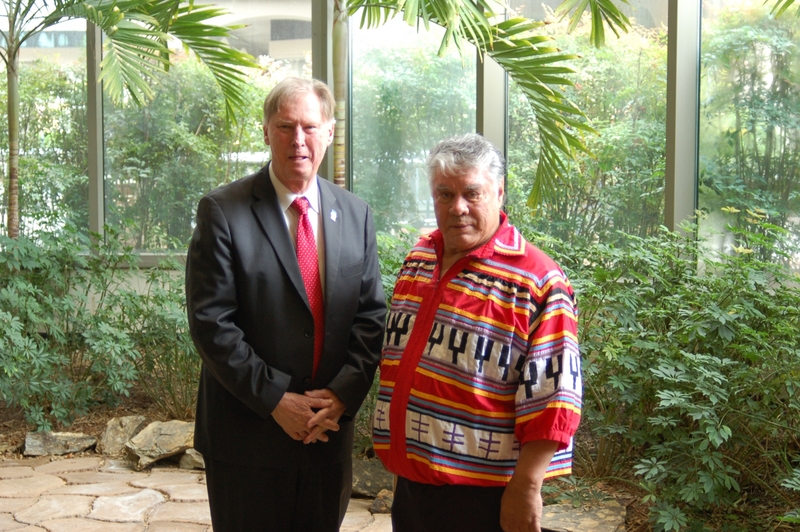 With this agreement, the Seminole Tribe is now able to review federal projects on reservation lands under the Tribe's own Cultural Resource Ordinance, rather than those regulations set forth by the ACHP. Another successful Field School Day with the Brighton Charter School, held at a site on the Brighton Reservation on December 17th. 6th grade students rotated through 3 stations, learning the ins and outs of excavation, stratigraphy, documentation, and artifact analysis! 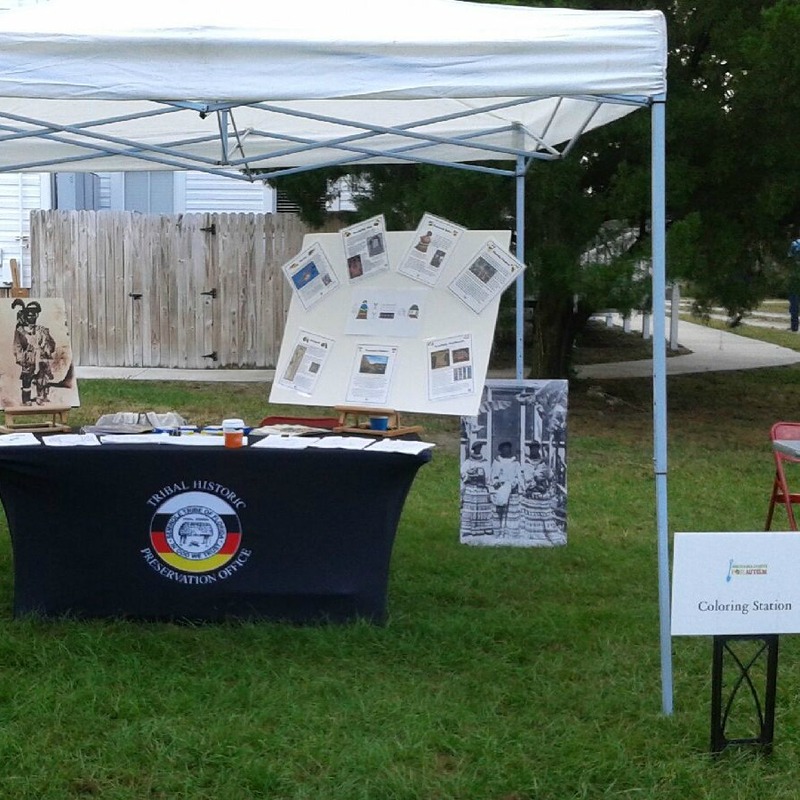 Patricia Rodriguez and Domonique deBeaubien participated in the second annual Archaeologists for Autism event at Sam’s House on Pine Island. 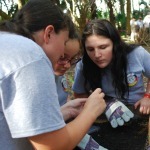 Archaeologists for Autism aims to unlock the full potential of children with Autism Spectrum Disorders, and provides a fun, low stress environment for children and their families. Children were able to participate in a variety of archaeology and paleontology based activities including pottery making, fossil formation, GPS mapping, archaeological digs, coloring and more! The event is provided FREE to children and their families, and with continued support from the archaeological community will continue for many years to come! 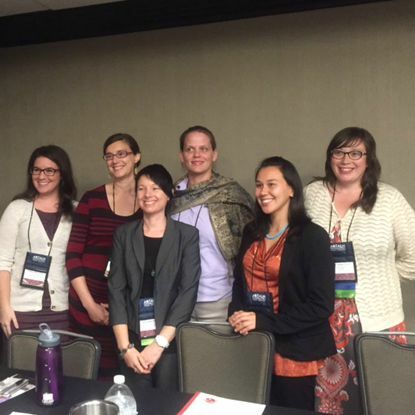 THPO and Museum Collection staff attended and presented at the Annual ATALM Conference on September 9th-12th. The session focused on community inspired projects and was a great way to share how the THPO and Museum are using collections to engage with the Seminole community. Staff was joined by collegues from the Kawerak Cultural Center in Nome, AK, ExhibitsAK, and the Aanischaaukamikw Cree Cultural institute in Quebec. 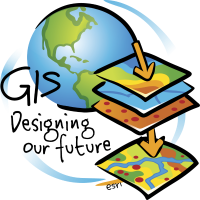 Archaeometry staff headed to San Diego on July 20th-24th to present and attend the Annual ESRI GI User Conference. Check out our blog post and vlog! On August 14th and 15th, THPO and Museum staff, along with Chief Justice Willie Johns, attended the 8th Annual Seminole War Commeroation Event sponsored by the Seminole Wars Foundation. A booth was set up during the reception which generated a large amount of interest from visitors and was an opportunity to promote future Tribal events and inviting newcomers to visit the Museum. 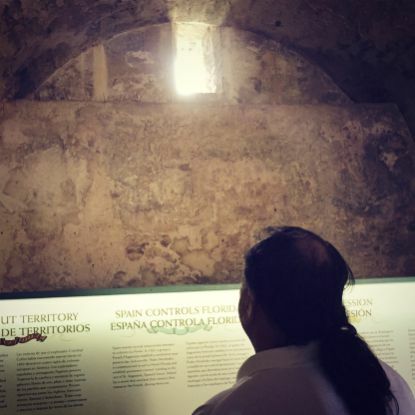 The trip also involved a meeting with NPS at the Castillo de San Marcos National Monument on ways to better the public's understanding in the fort's role in Native American history. Castillo holds a lot of history for the Seminole Tribe and was where a number of famous Seminoles were held during the Second Seminole War, including King Philip, Coacoochee (Wild Cat), and Osceola. Its said that on the night of November 19, 1837 Coacoochee staged his legendary escape, slipping out through a small opening near the ceiling of their holding cell along with eighteen other Seminoles. Chief Justice Johns (photo) is seen looking at the alleged escape route of his ancestor Wildcat.